After Manchester City recently announced the signing of Monaco starlet Bernardo Silva, they are looking for a move to bring his partner Benjamin Mendy to join the ranks at the Etihad. According to reports from ESPN, Mendy is next in rank in Pep Guardiola’s rebuilding plan for his team. Estimates on the bid for the player by Manchester City to Monaco point at a value close to €50 million, and with no restrictions on money from the owners and a growing fanbase, the value can even go up, as Monaco would want to make the most of this deal. 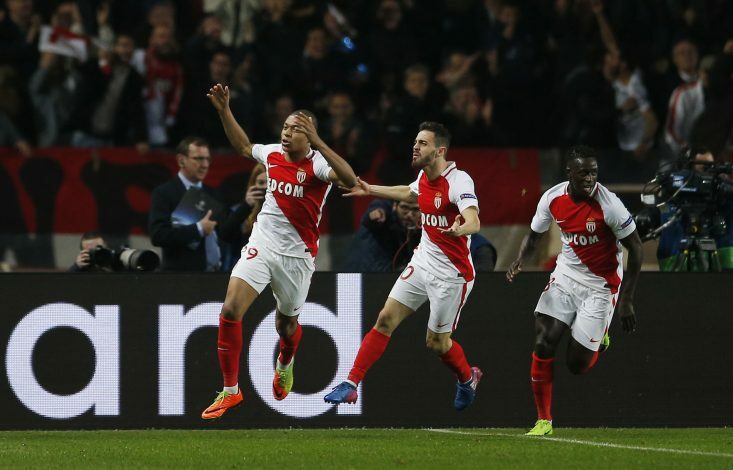 Yet another player to impress Guardiola with his play and quality during Monaco’s first leg game against Manchester City at Stade Louis II in the Round of 16 of UEFA Champions League, the 22-year-old has been turning eye with his performances this season. In the 37 games he has played for Monaco in all competitions, Mendy has scored 1 goal and assisted 8 others. Not particularly attack-minded for a full-back, the French international is known for his crosses and vision, providing moves out of thin air. He often contributes at the back as well, and is good at passing – quite a natural fit for Pep Guardiola and his tactics. With Manchester City sneaking Bernardo Silva from right under Jose Mourinho’s nose, Manchester United will be willing to put up a fight to bring the defender to their club. Various clubs all across Europe are monitoring the situation closely, including Chelsea, Liverpool, and Barcelona, apart from the Manchester rivals. Alongside the pair from Monaco, the Citizens are also targeting Juventus’ Leonardo Bonucci and Tottenham Hotspur full-back Kyle Walker, in an attempt to replace their recently released players with a string of strong replacements. Bacary Sagna, Willy Caballero, Gael Clichy, Jesus Navas and Pablo Zabaleta were all released officially by the club last Thursday. With Manchester City making new deals on all fronts, and an expected transfer budget upwards of €300 million, it would be interesting to see if Pep’s investments do pay their dividends next season.